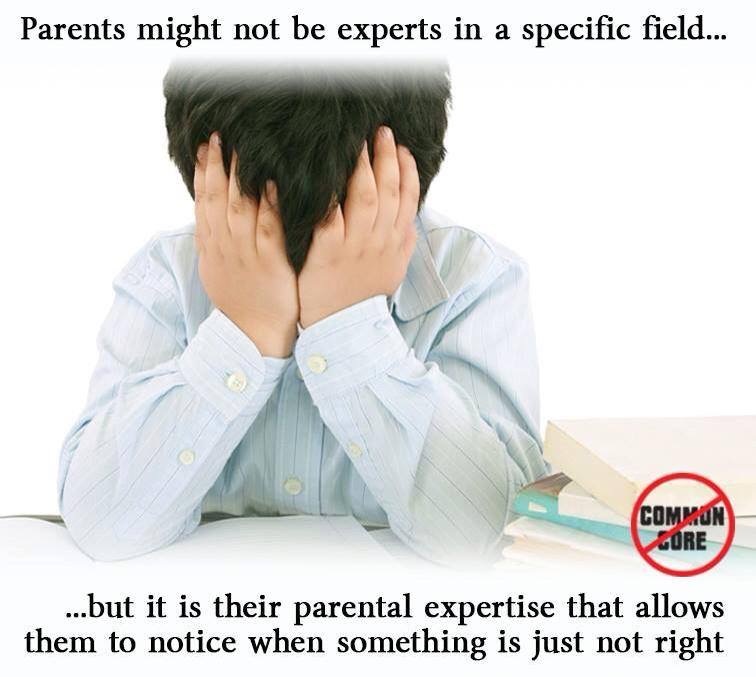 “Parents As Experts” Of Their Own Children: Slick Advertising Slogan, Or Irreplaceable “Best Practices” For Your Child’s M.D., Psychologist, And Public School Policy Makers? 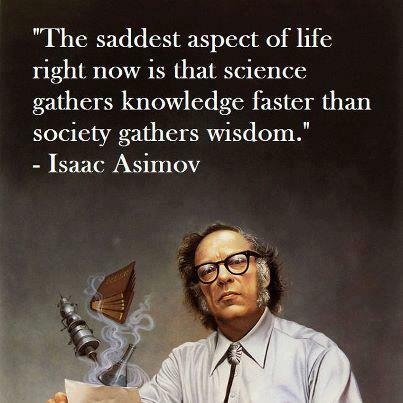 Add State and Federal Education Policy Guru’s, & Bill Gates into the mix? It’s no wonder we have so many “submissive sheep” caretakers for the next generation……………..
8 months ago, I wondered what our group of clinicians and in-home tutors/clinicians thought of the clinic’s “parents as expert” motto: Do they get it? Do they practice it? Do they understand the importance of it? I was pleased with the 25 essays that were returned to me, because I was satisfied that the staff had a solid understanding of this concept, and the importance attached to it. However, one essay from an educator on our staff, Katheryn Porter, stood out among all others. I was not surprised: Mrs. Porter is an experienced, certified, public school special education teacher in Colorado, who quit to home school her adorable (and smarter than you or I) child who was diagnosed along the Autistic/Aspergers spectrum. 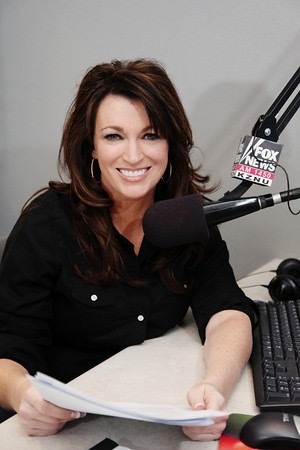 She also is a very active education activist who writes professionally for “Politichicks”. One of the most creative and touching professional reporter’s take on the struggles that an autistic child’s parents endured-while suing a Utah public school district over their “one sized fits all approach” to their child, was penned by Porter in this PolitiChick post two years ago…this was how I came to learn of Ms. Porter….it brought me to tears. “Moms, no one will ever love your children like you do. No one can come close to being his or her fiercest protector and greatest source of comfort. You are their best advocate. Dads, no one will be your children’s hero like you are. No one can build your daughter’s self esteem or son’s confidence like you can. You are their biggest fan. Take time to create memories your children will cherish because your time with them is only for a season. This gift of time when your children are at home—it is time you will never get back. Don’t give away this gift of time by over scheduling. Don’t trade a strong relationship with your children for busyness or the pursuit of material things. Don’t let anyone steal that time from you. Not your job. Not their school. Not enrichment clubs, sports activities, or even church activities. Not anybody or anything. Moms and dads, no one will ever invest the kind of time you spend with your children. You know them better than anyone. You will be there for them for the rest of your lives. While friends will come and go in their lives, you will be the ones who share in the joy of their triumphs across time. You will be the first ones they come to in times of need. It will be your heart that breaks for them during their times of trial. There is no one who will ever know your children the way you do—and still love them the way you do. You know all the good things and all the bad things about them—and you love them anyway. 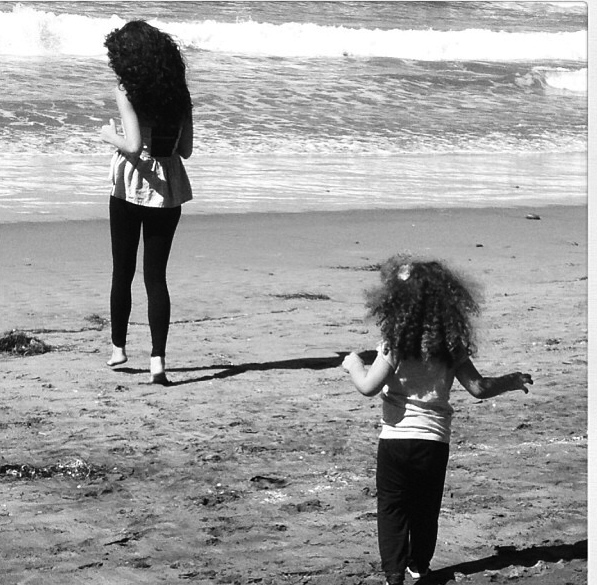 When the world shows your children no love, it is your heart that pours out for them and back into them. And even when your children don’t show you they love you, know that they do love you. 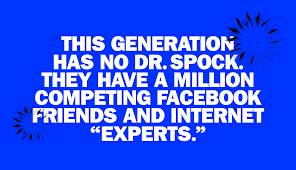 When it comes to your children, you are the resident experts. Moms, you were the ones who experienced the labor of childbirth—and in some situations, the labors of adoption. Dads, it is your DNA that’s passed to your children and your “heart DNA” to your adoptive children—not anyone else’s. Teachers will instruct your children for a year or so. Pediatricians will see your children for their annual 15-minute wellness check and occasional sick visits. You are with them from day to day and year to year. It is you that gives your children a home, imparts within them values, and lays within them a foundation of faith. Your children are unique. You know their quirks and all that is special about them. So guard their hearts because they are sensitive, even when they seem tough. Colorado PolitiChick Kathryn Porter is a freelance writer and educational consultant for homeschooling families. Specializing in ‘outside the box’ students, she encourages public school parents and home educators to be their children’s best advocates ”because no teacher or therapist will ever be more invested in a child than an involved and caring parent.’ Kathryn gives workshops on Common Core and other education topics in venues ranging from small group forums to home school conventions. Her favorite new pastime is State Board of Education watching, waiting for members to put on make-up, do nails, and take siestas as angry parents plead with them to listen to their concerns about Common Core. 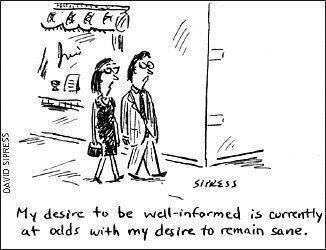 (And yes, certain board members do this in Colorado!). She enjoys working on political campaigns and all thing politics. Kathryn will be keeping an eye out for politicians playing the Common Core dance, side stepping their way around the issue, rebranding it, and making compromises instead of taking a stand. She will also bring you the latest on how schools across the nation continue to violate parental rights in the name of rigorous standards and high stakes testing. 1. This lady is very talented at what she does. Apparently Blaze TV thinks so too: She announced the next day her “partnership” with Glen Beck. I’ve done a lot of various interviews, and “sucked” at each and every one of them. On this one? I probably still sucked, but it was the most relaxed I have ever felt in this kind of media setting. This was all due to this talk show host’s talent. 2. My previous posts were written “White Papers” on the subject of “Do No Harm” as such applies to ethics in educational practices and testing issues. This interview outlined current, and potential harms in a very personal manner as I provide a ground level, inside peek into the world of our child education psychologists, therapists, and in-home Divergent Learner Education Tutors. For the first time; in one setting, I had the opportunity to “lay it all out” regarding the realities of education reform issues, and the psychological ripple effects of what happens to kids (and their respective communities) when policy makers ignore ethics set by our profession in psychology (American Psychological Association). 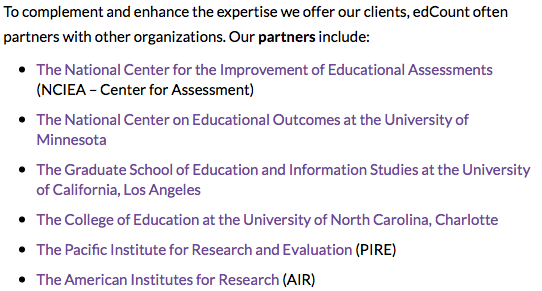 The end result of subjecting our nation’s children to developmentally inappropriate academic standards/curriculum, and using them as research tools-profit centers for experimental testing via private companies without informed-written parental consent and accompanied safety guidelines for research….well….it really is starting to get ugly professionally for clinicians around the nation who have been tasked with cleaning up these psychological messes being pushed on public school teachers by both political parties (e.g., Jeb Bush & Hillary Clinton). During the interview (1.5 hours long), there are some rather interesting nuggets regarding school shootings, teen suicide, as well as what happens to a medical/school system hell bent on prescribing our restless/bored little ones with “speed” (ADHD medication), so that they can “pay attention” to their latest academic flavor of the day. ……..then I’m off to welcome a new baby girl into our family (possibly way sooner than expected), and at least via this blog, close the door on education advocacy issues. Everything professionally that needed to be said has already been said, and now it’s time for me to be a husband, father and Doctor/Consultant with this clinic. Our eyes ethical duty to inform our community has now reached full circle. Taking on a multi-billion dollar testing industry, and a Utah Gov. with the highest approval rating in the country would not only be futile, but a professional “death wish” for a group of Doctors who possess ZERO political skill (will ?). I look forward to blogging about the original purpose of this blog: My Journey with my 5 year old daughter in a education system that changes quicker than the front runner in the Republican Party front runner for President. (I also formally endorsed our current Gov’s challenger in 2016 for Governor of the State of Utah, Johnathon Johnson, due to his promise to restore parental rights and local control back where it belongs: with me…with you….with all of us…..
& Melinda Gates should not be making intimate, live altering parental education choices for your kids. It’s time for both Bill and I to turn our focus to our OWN children. I listened to both hours of this excellent interview today. Topics covered include the psychological impact of Common Core on the students of the state of Utah. 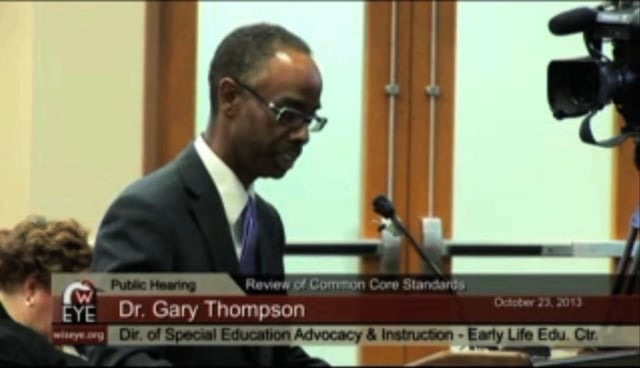 Dr. Thompson also covered the perfect storm currently brewing in our state because of over reliance on medications for psychological disorders, our high suicidality rate, and a huge leap in emotional distress in our children because the school curriculums are not age appropriate and the tests are not doing what it is claimed they can do. 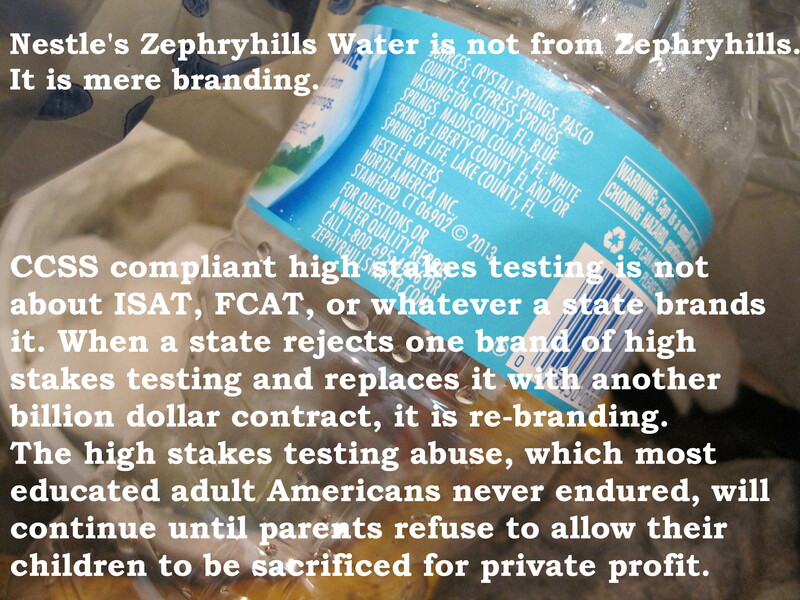 American Children are being experimented on by Behavioral Testing Firms. He also articulates the need for validation of the tests, which he jokingly noted that after three years of asking for state validity of the tests in every possible way, the only people who have shown any interest in doing so were some legislators in Florida. I’ve been asked to write a simple, summary follow up, and ethics based call to action in regards to the very detailed, scholarly analysis of the implications of the U.S. Department of Education’s unethical, fraudulent utilization of research as justification for their assessment policies and practices (“Primum Non Nocere: First, Do No Harm”) (Full Text Research Link). Imagine taking your child to your local pediatrician after your little one developed a high fever, profuse vomiting, and could not hold down liquids. After a short wait, a kind, authoritative medical doctor invites you into his treatment room, and informs you that he has just the right, “rigorous” solution to make your child “play and family ready” in no time. The anxiety you feel as a parents starts to ebb away as this medical expert starts his examination. However, you are surprised to to notice that traditional methods are not being utilized to find the exact cause of your child’s illness. The Board Certified Physician gently directs your weak, sick, child in front of a video monitor, places headphones on his ears, and with a push of a button on T.V. remote, you watch in wonderment (horror?) as your child appears to be watching an episode of Trey Parker’s “South Park”. The Doctor is busy taking notes for your child’s medical records, and the nurse assistant in the room cues on a video camera to memorialize your child’s emotional reaction to watching the Rated R, cartoon antics of “Kyle”, “Cartman”, and “Stan” ( Portrait of South Park’s Heroes). After 15 minutes of this rigorous medical examination, your child is returned to the examination table, the Doctor’s electronic medical notes are completed and filed on his “Google Chrome Laptop”, and the video tape of the examination is uploaded on the nurses Apple Ipad which shares a data connection with the Utah Department of Health and the Utah State Office of Education. After arriving home, you and your spouse look inside the fancy looking pamphlet, and decide to look up the references cited as justification for shoving three bowls of Fruit Loops down your increasingly sick kid’s throat. The peer reviewed medical research cited came from the well respected Medical Journal, “Andrology & Gynecology: Current Research” (http://www.scitechnol.com/andrology-gynecology-current-research.php). In theory and practice, this is exactly what the U.S. Department of Education has directed our more than willing State Offices of Education across the country to do with our children to determine if they are “career & college ready”. 1. Watch “South Park” as part of the next generation of valid testing techniques. 3. Justified by peer reviewed research cited in a Journal of Gynecology. 1. 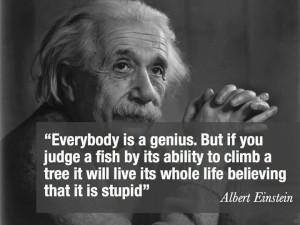 ALL Learning disabled kids can become grade level scholars with nothing but great teaching, and great supports. 2. The new testing is valid for ALL students with ALL learning disabilities. 3. These new test are so good, that we don’t need alternative-modified tests. 4. The ONLY thing reading and math disabled students need to become grade level scholars, are good teachers. 5. These new test are so perfect, and were designed specifically to perfectly measure academic achievement in ALL learning disabled children. 6. 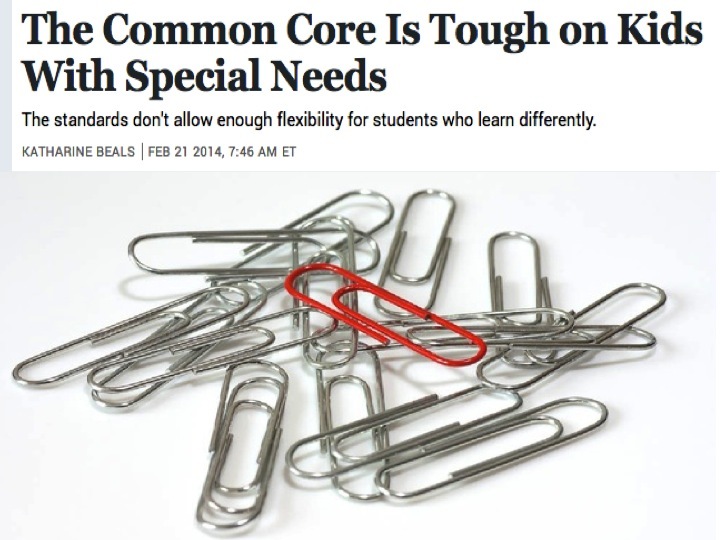 States and ground level teachers have denied proper instruction for all divergent learning students; therefore, we no longer need individual States to make special tests, because now special education students will be saved by the new Common Core Standards. 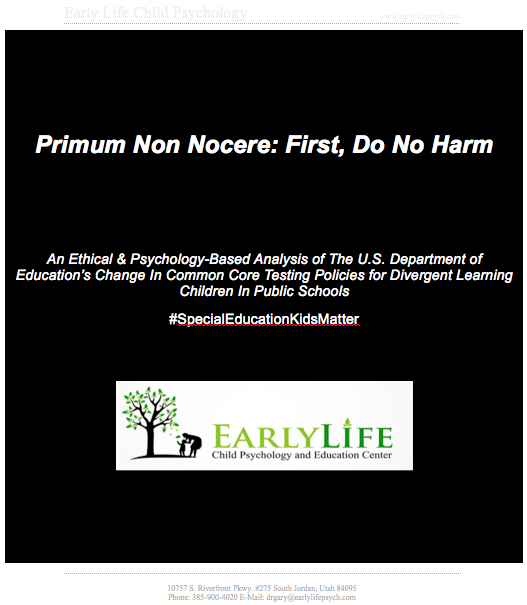 Simply put, the previously cited, 45 page, semi-scholarly work sent out by our child psychology clinic titled ““Primum Non Nocere: First, Do No Harm” (Original Research Link), documents agenda driven, generated testing experimentations on our public school children without obtaining informed consent; as well as potentially psychologically abusive education testing practices, which use aligned, irrelevant research as the foundational justification for altering local educational standards, teaching practices and local education policies. 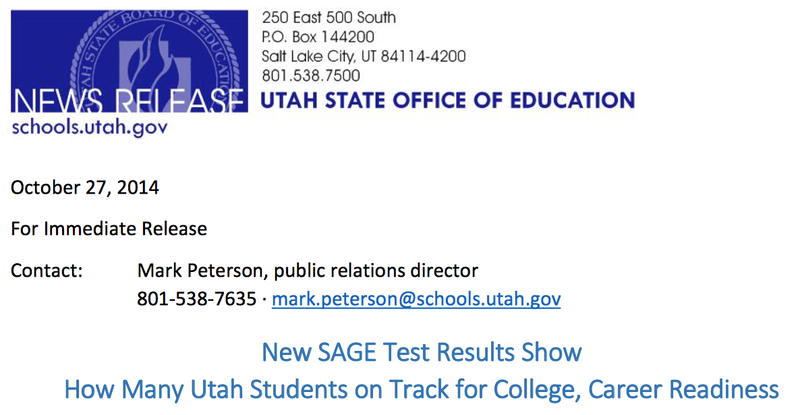 The “career and college readiness” status of my children in the State of Utah is being tested by the high stakes, Common Core based test called the “SAGE”, produced by “AIR” (American Institute of Research). Both the SAGE test, and the Federally Government supported test producer AIR have both used the “Fruit Loop” procedure to fraudulently justify giving this experimental test to over 650,000 of Utah’s kids. 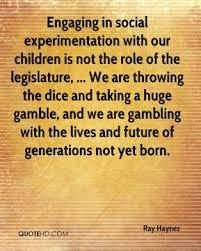 “Stop agenda generated experimentation & Aligned Irrelevant Research” on our nation’s children. If the U.S. Department of Education’s force feeding of “Fruit Loops”to our public school children (especially with our vulnerable divergent learning and minority children & teens), all justified via the use of “gynecology” research does not justify an immediate Congressional Hearing, I honestly don’t know what the hell else would justify that action. My four, soon to be five children, are more important, and deserve more attention, than Benghazi, or Hillary Clinton’s alleged misuse of government email servers. If your State Department of Education, supported by your current Governors, has implemented similar Common Core testing and practices in your State, every parent, teacher, State/Local School Board Member, Superintendent of Public Schools has a moral and ethical obligation to immediately demand a objective investigation to allegations of fraud and deceit that have been alleged. 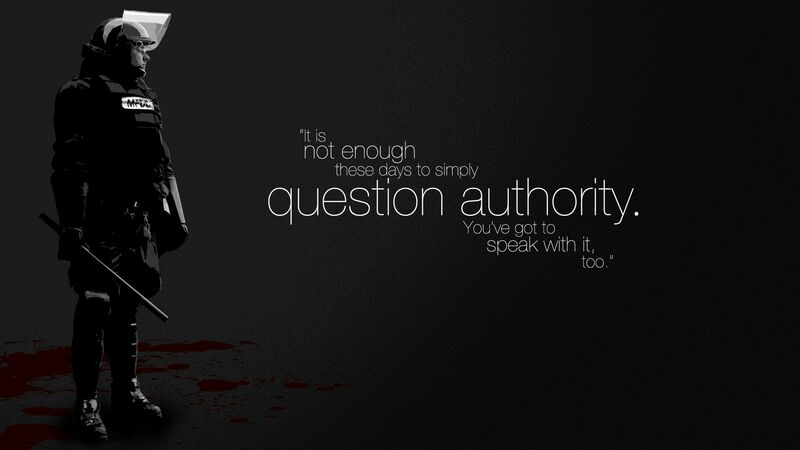 Confirm…or prove otherwise, but silence is no longer an option. The apathy in my Utah community is no longer an option. Not in your town, and most certainly, not in my great State of Utah. I would be delusional to assume that even 45 pages of well documented fraud and lies of omission, (off the backs of our nation’s most vulnerable children,) perpetrated by a sitting U.S. Secretary of Education, would warrant a lot of attention in a populous more obsessed with the Kardashian clan. I wonder if Secretary Duncan made the fatal mistake of assuming that a simple Utah father & Doctor of Clinical Psychology somewhere in the country, would actually read his radical rule change. Perhaps he knew, but deems himself to be untouchable. Secretary Duncan, (and every sitting Governor in America who allowed the biggest Trojan Horse of unethical, experimentation to be played out in public schools across the country) had better pray that this post fades into its usual social media obscurity. If not? At best, millions of parents of vulnerable, divergent learning kids in public schools may jam his phone lines to “chat”. 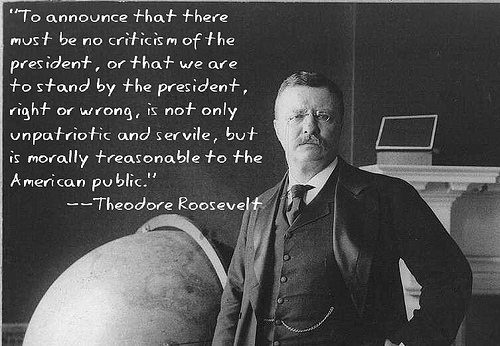 We tend to not react positively to our nation’s most visible figure in education ordering acts of cognitive and emotional child abuse on our children . At worse, blatant deceptions to the American public have landed elected leaders in front of Congressional Hearings for a lot less than throwing the nation’s entire special education school population under proverbial “child abuse bus”, to advance a agenda. The more I researched, and the more I wrote, it became apparent to me that it does not matter if one person reads this blog: If just one parent of a special education child reads this, and saves them from potential emotional caused by your “research based” deceit, then I can fade away into the social media sunset with a sense of accomplishment. God, Science, & The Utah State Office of Education’s Puzzling Stance Regarding High Stakes, Common Core Testing of Special Education Students. One side will definitely state that such changes will have absolutely no effects, ill or otherwise, on Utah’s current policies associated with the Common Core SAGE test (e.g., “Utah State Office of Education Administrators”)…. Regardless of where one stands today on the issue, it is reasonable to state that there is no middle ground between the two parties. Both parties will submit “evidence” and state their respective positions to State Board Members, lawmakers, and parents of divergent learning children throughout the State of Utah. Both parties will hope that their evidentiary “proof” will hold sway over the general public, as well as mainstream media entities. 1. From the objective viewpoint of a doctoral level, “local clinical community scientist” in the field of clinical psychology. 2. From the faith-based viewpoint as a devout Christian, and member of the Church of Jesus Christ of Latter Day Saints. A common discourse and theme among many (certainly not all) members of the Christian faith, is that the current education system does not welcome inquiry in public school settings regarding concepts of “faith”, as such may be related to the existence of a higher being (God). (The legal reality of “separation of Church and State” is well established). The argument often made is that teachings of God, faith and creationism have no place in our education system because there is no empirical evidence to support them. I have no intention of “solving” this debate, my sole intent is to point out the obvious differences between the two schools of thought. Interesting enough, Utah’s most respected representative of the school of empirically based educational thought (USOE), has formed a basis for policies associated with the SAGE Common Core test, that seems to be almost religious in nature. In other words, the Utah State Office of Education, the self appointed gate keeper between the illicit mixing of “pure” empirical science, and the subject of God in public schools, is demanding that parents in our community subject their children to a high stakes SAGE test entirely on the basis of….well….’faith’. The SAGE test is unscientific because it violate the basic rule of social science/academic achievement science. The assessment is not verifiable, because the SAGE test is not permitted to be subject to independent scientific evaluation. Its validity cannot be proven nor disproven. Under the guise of “test security” Utah’s $39,000,000.00 testing vendor, American Institute of Research (AIR), uses copyright laws so extreme that they prevent true scientific evaluation of the validity of these tests, by scientists with expertise in the fields of Education, Psychology, and related fields. The main reason this practice of ignoring validity is scientifically reprehensible, is that U.S. Department of Education Secretary Arne Duncan, and the USOE, has ignored this most accepted scholarship in the field of “testing”. 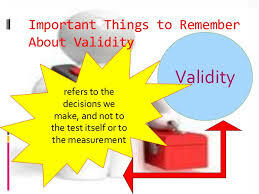 The concept of Validity, or simply put, PROOF that a test performs as “advertised”, is used to halt the dangerous myth of “certainty” that permeates in the field of educational testing. 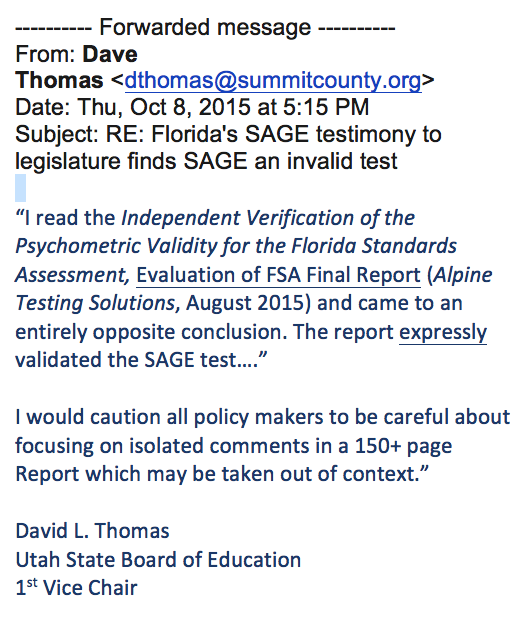 The Utah State Office of Education, is asking our community of parents to accept that the SAGE test can measure academic constructs in special education students (other than the highest “1% of the most cognitively impaired students”) accurately, with no adverse emotional or psychological harm, on the basis of “faith”. In reality and practice, USOE and Secretary Duncan, expects this community to subject its most cognitively and emotionally vulnerable students to the admittedly experimental in nature SAGE test, simply because they said so. One does not have to be a mental health professional to know the mental health ramifications associated with a child or teen who believes that he or she is “stupid” when compared to his peer siblings and/or peers on campus. Anxiety, depression, self-mutilation (cutting), drug abuse, and a well documented increase in youth suicidal ideation, are just a few of the consequences associated clinically with the high stakes academic testing game. 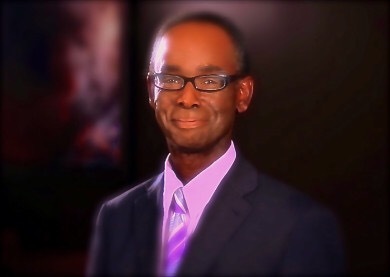 As professionals in the field of clinical psychology, we will rely entirely on independently produced, peer-reviewed research from this nations most prestigious universities, as well as established ethics as published by the American Psychological Association (APA Ethics Code), and the American Medical Association (AMA Ethics Code) , to present our case to the community. At the bequest of my own four divergent learning children (who do not fit into the U.S.D.O.E.’s criteria of “severely cognitive impaired“, as well as the hundreds of similarly situated diverse African American, Latino, Autistic, Suicidal, Dual Exceptional, Cognitively Gifted, Learning “Disabled”, Schizophrenic and otherwise emotionally disturbed children and teens in the State of Utah that my talented staff of Doctor and therapist have valiantly served, I humbly request that the Utah State Board of Education suspend their “faith”, as such apply to the USOE’s agenda laden claims, and protect our most vulnerable assets in our community: Our children. 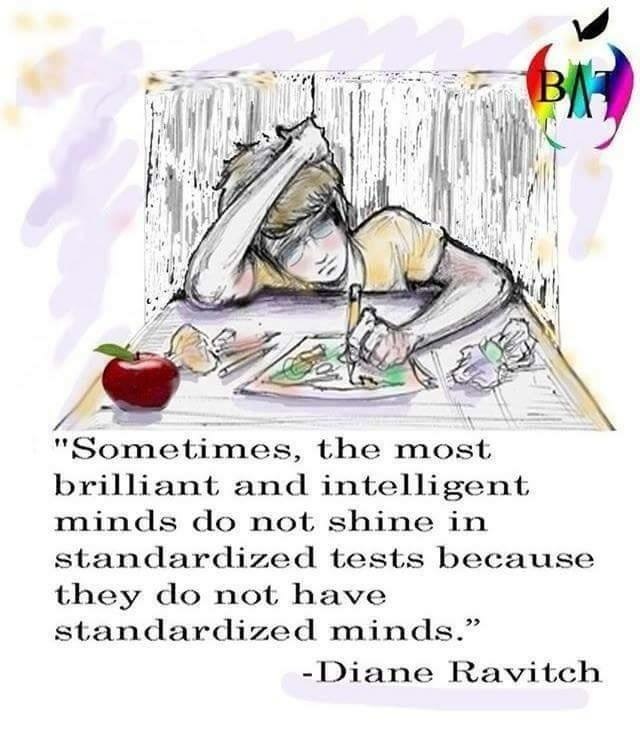 Posted on 08/28/2015 Categories Common Core2 Comments on God, Science, & The Utah State Office of Education’s Puzzling Stance Regarding High Stakes, Common Core Testing of Special Education Students. 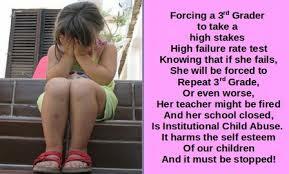 I apologize for, once again, bringing in issues related to Common Core reform on this page. The stated purpose was to provide a inside peek into the education journey of my four year old, and to communicate our experiences to a growing number of parents of “divergent children”, many of whom are at a lose when it comes to finding viable options outside of public school settings. I certainly did not expect today to be the first time in two years, that I received a response from a member of our State Board of Education. 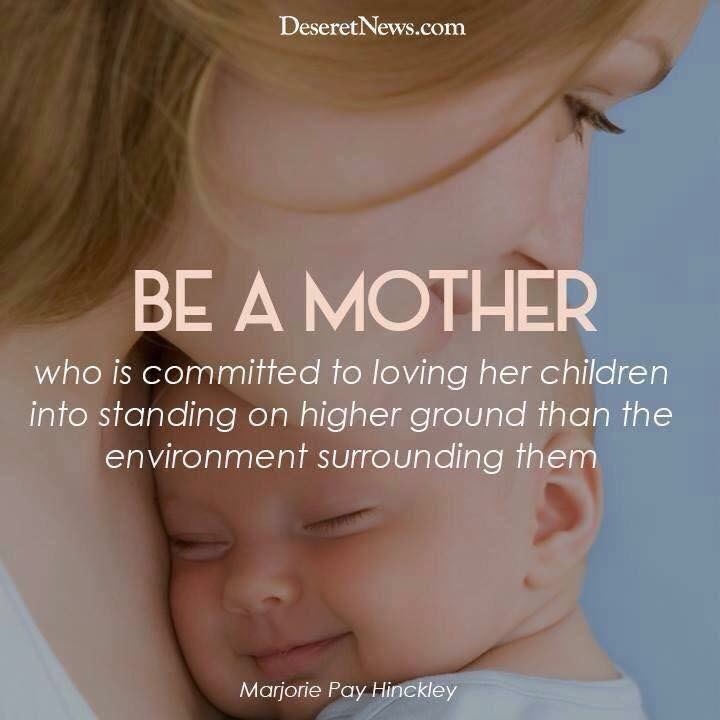 Utah State Board Member, Terrly Warner’s response, however, is relevant to all parents of divergent kids who are trying to find their way in public school education settings, as well as attempting to keep their parental rights afforded to them by law. The original letter sent to the entire Utah State Board of Education is found here: http://goo.gl/36GY0D. Thank you for responding to letter I sent last week to every member of Utah State Board of Education on behalf of my daughter, current clients under the care of my child psychologists and/or therapist, and parents in Utah who have been adversely affected by recent education decisions emanating from the Utah State Office of Education. I apologize for the delay, but I have been in shocked. This is the first written response that I have received regarding my concerns from a someone involved Utah education, elected or otherwise, in the past two years since I went on national television to voice these concerns both as a father of public school children, as well as Doctor of Clinical Psychology. My Reply: Our clinic’s motto of “Parent’s Are, And Must Always Be, The Resident Experts of Their Own Children” was not adopted via a marketing campaign, the concept is well grounded in peer reviewed research in psychology, education, sociological and legal journals of thought, as well as clearly being outlined in the State of Utah’s Constitution. Our involvement and commentary regarding this issue of parental rights is strictly limited to best ethical practices in clinical psychology as outlined in our Code of Ethics. My Reply: In terms of written informed consent, those are my thoughts exactly. There is a viable reason why every one of my clinicians must abide the tenants of informed consent whenever they provide therapy or academic, emotional/behavioral, or cognitive testing for minor children. As outlined in my presentation, the main reason is to “avoid harm” or exploitation. The harm and exploitation as such applies to the 650,000 children in public schools is unlike anything I have ever seen personally as father, or professionally as a Doctor of Psychology. 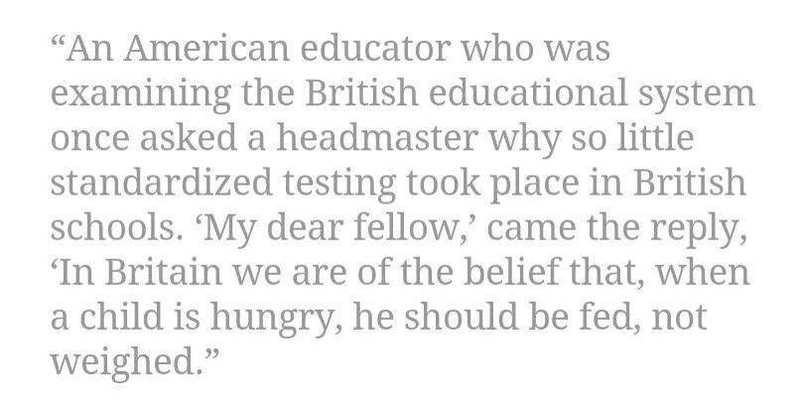 If elected leaders from the Board, or appointed education officials from the Utah State Office of Education, in their wisdom, elect to implement a program or a “novel” testing/assessment procedure, I have zero problem with letting them “do their job”. However, it is imperative that parents receive information free from political bias, as such is needed to make informed decisions regarding their children. If in fact, USOE and the State Board of Education, had properly and openly informed parents in Utah about key aspects and issues associated with the UTAH SAGE/Common Core test, our clinic would never have spoken up publicly about our concerns unless we were approached. However, the USOE SAGE town hall meetings, as well as current informational flyers available on the USOE webpage, set a unprecedented low standard in the area of “lies of omissions.” The standard of “informed consent” requires 100% transparency when such involve any type of assessment on a child. You mentioned “IRB” (Internal Review Boards) in your email to me. We elected not to discuss this issue in the presentation due to time constraints, as well as the fact that most of people in attendance are not educated about the intense requirements surrounding the issues of consent and avoiding harm along these lines, as such are required in graduate schools and research think tanks around the country. Simply put, I could not even send out a simple survey to a person in graduate school as part of my research, without obtaining IRB approval. I was thrilled that you were aware of such processes. My Reply: It is not only “ludicrous”,it simply has absolutely no basis in science on any practical or ethical arena. My wife and I both completed our Residency training in therapy and assessment in the inner cities of Oakland, CA. You are wise to be worried about issues related to kid in poverty, as well as kids who are suffering from mental health issues alongs the lines of depression, anxiety and PTSD to name just a few. 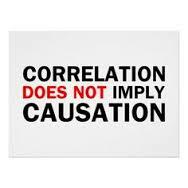 Bottom line: There is absolutely no way to obtain a statistically accurate assessment from children in those situations, and placing them in these high stakes testing environments, can and has caused emotional harm to a significantly significant amount of Utah’s public school children. The exact nature of this harm we have seen and treated in our clinic, was outlined in our presentation linked above. My Reply: The description of this practice as “ludicrous” is again accurate. There is absolutely zero basis in science or statistics which can support grading teachers based on an experimental, high stakes assessment test given to a wide range of diverse children. This issue was also briefly discussed in a very blunt manner during the presentation. My Reply: Yes, not only can I imagine, as with you, I have witnessed the immediate impact of these issues on children and teens. The failure of education leaders to acknowledge this issue has, and will continue to lead children in those situations down a very dangerous path. As for evaluating teachers based on these high stakes exams, I have presented in other States last where teacher union leaders have caught onto the idiocy and statistical foibles of this practice. They are very vocal in their objections. Utah Teacher Union leaders will regret their literal silence on this issue. Our clinicians and staff have elected to no longer engage in public policy issues associated with education reform in our home states of Utah and California. After our presentations to multiple states in October of 2014, there is simply nothing left to say. We feel it is the sacred responsibility of those in elected and appointed positions of power to navigate the political and public policies roads, with the ultimate responsibility of advocating for our children. When agendas and politics trump the very ethics designed to protect children, and nothing is said about the situation, it is my personal belief that we as a community have lost our collective souls. This does not appear to be the case for you. 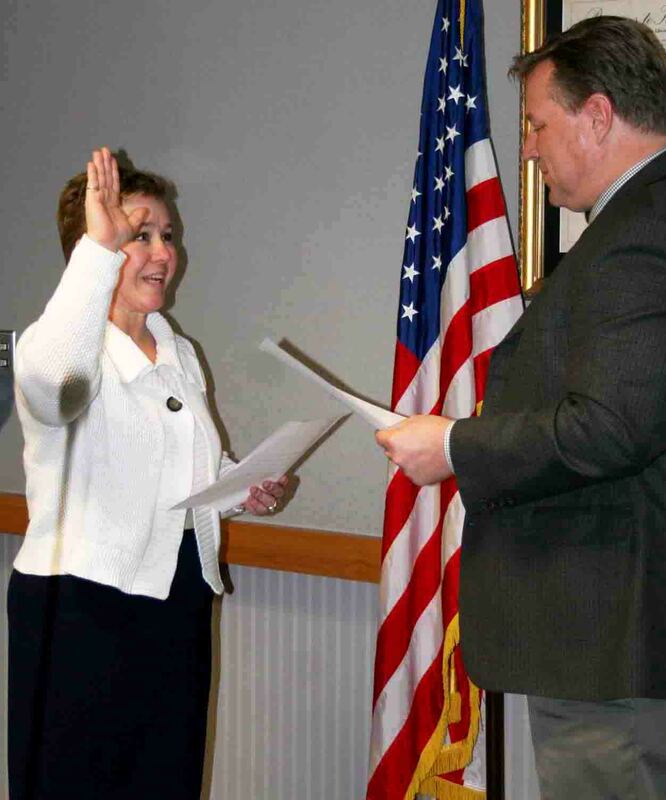 I wish you luck in your duties as member of the Utah State Board of Education, and I hope that you continue to honor the oath of office that you recently took. Let me know if I, or our clinic, can be of any (discrete) help to you. Rights afforded by the Constitution and statues regarding the freedom of parents to have significant impact in their kid’s education are extremely important. 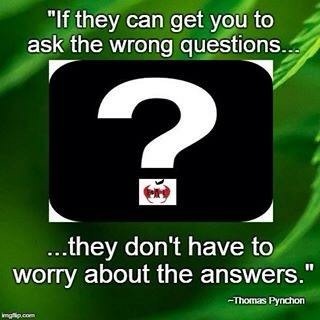 With that said, in addition to a focus on “liberty” and “freedom”, consider inputting into the conversation (as Ms. Warner and our clinic has) the issue of sound, already established ethics in the areas of testing and experimentation. 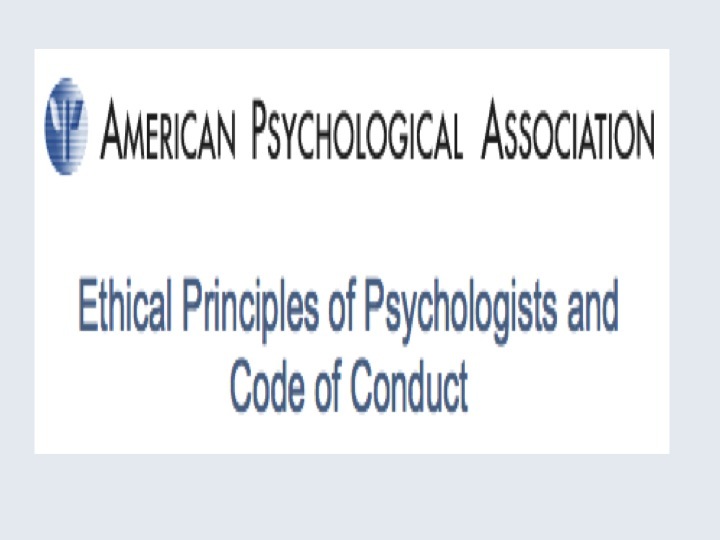 Here are links to the APA (American Psychological Association) Code of Ethics, (http://apa.org/ethics/code/index.aspx) as well as the NASP (National Association of School Psychologist) Code of Ethics. 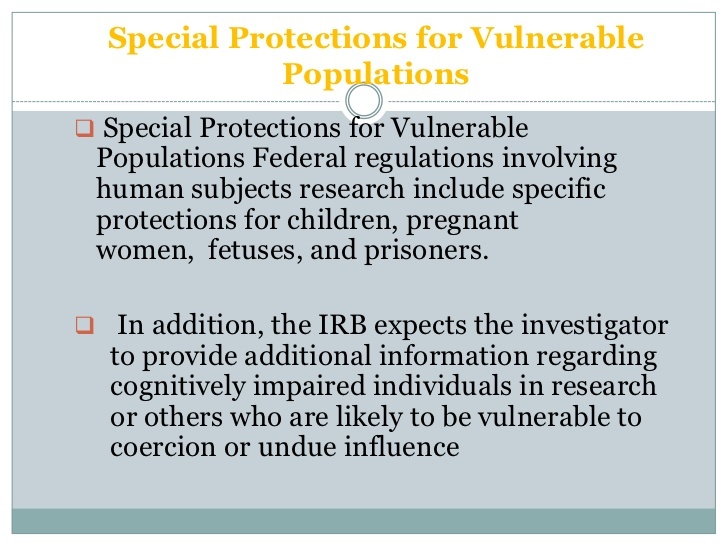 To protect vulnerable parents and children from exploitation from those in positions of power and influence. 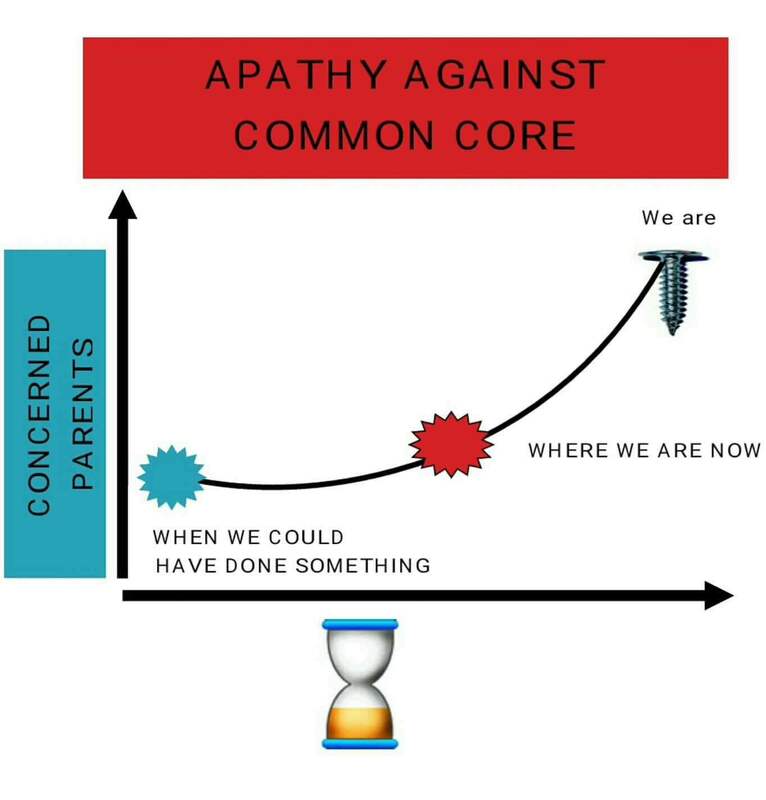 At no prior time in the history of our nation’s education system, has Federal/State politicians & education administrators, and corporations (e.g., “Big Testing”), wielded more power and influence on our nation’s children than what we are witnessing today. …but by all means necessary, watch it, monitor it, and continue to question the authority and power of those entrusted with the care of your children. Their lives and futures may depend upon it.